As my children grow older, I worry less about things like sleep and eating and more about bigger issue things like morals and relationships. Sleep and eating are not less important, but for us, we have long put behind us the need for concern on those topics. We addressed those concerns while they were young. They are “old hat” and we are able to focus on bigger issues. One such big issue is sibling relationships. 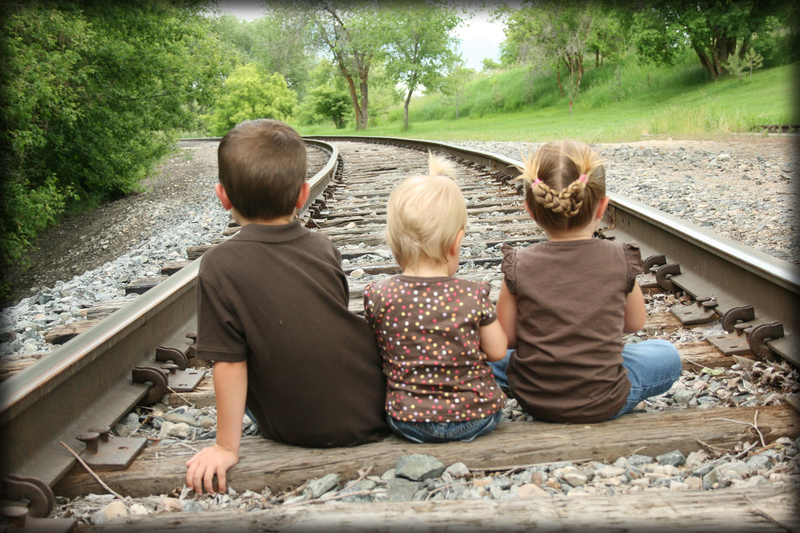 All siblings argue from time to time, but as parents, we really hope to instill a lifelong friendship among our children. We also realize that much of how they learn to interact with siblings at home will spill over into interaction with peers out in the world. On Becoming Childwise by Gary Ezzo and Robert Buckham has some great tips on maintaining sibling relationships and minimizing conflict among siblings. Of course the conflict will not go away–they are human children who live under the same roof; these tips, however, should help keep things a lot more peaceful. These tips are found on pages 104-109. Can I just say that one of the best decisions I made years ago as a parent was to not step in and solve problems between my children? There are so many good reasons to do this. For one, your children will not be running to you each time they disagree. For another, they will learn conflict resolution at home with people they love. This is a low-risk situation to learn how to compromise and get along. Naturally, the first thing you need to do is to teach your children and coach your children on conflict resolution. Some people are naturally better at conflict resolution than others. I have a daughter who has amazing conflict resolution skills. She really is a natural at it. I have another child who really needs coaching and guidance. Don’t expect children to know how to take turns, compromise, and problem solve just because they breathe on this earth. Teach them. Coach them. Give them ideas on how to solve problems. As you expect them to resolve their own conflicts, make it clear that if they are unwilling to work on getting along without your help, they will not enjoy the outcome. When my children cannot come to a resolution, my solution is that they just don’t get to play with each other for a specified amount of time. If they can’t get along, they can’t play with each other. No one ever likes that solution, so they work on resolving things together. Again, let me remind you that they must be taught first. You can’t expect them to solve their own problems without any problem solving tools to turn to, but once they have these tools, you can expect them so solve problems and to do so from a young age. A final tip I have for you on this topic is for you to remain in earshot but out of eyesight when a conflict is being resolved. You need to listen and make sure the older child is not throwing his weight around to get his way or that the younger child is not emotionally manipulating to get his way. You need to listen and be sure they are practicing their conflict resolution skills appropriately. Listen to make sure no one is using phrases like, “Fine, then I’m not playing with you” or “If you don’t do what I want, I won’t be your friend anymore.” When I hear negotiations aren’t going well, I try to wait and see if they can come to a common ground. If they do, I talk to the individual child later who had some poor choices during negotiations and remind that we don’t XYZ. If they can’t resolve, I try to step in and negotiate, but I really don’t step in unless I see no resolution in sight. Also, you can’t possibly listen in on every discussion your children have, and I don’t think you should, but especially during early training days, try to be aware of the conversations going on. 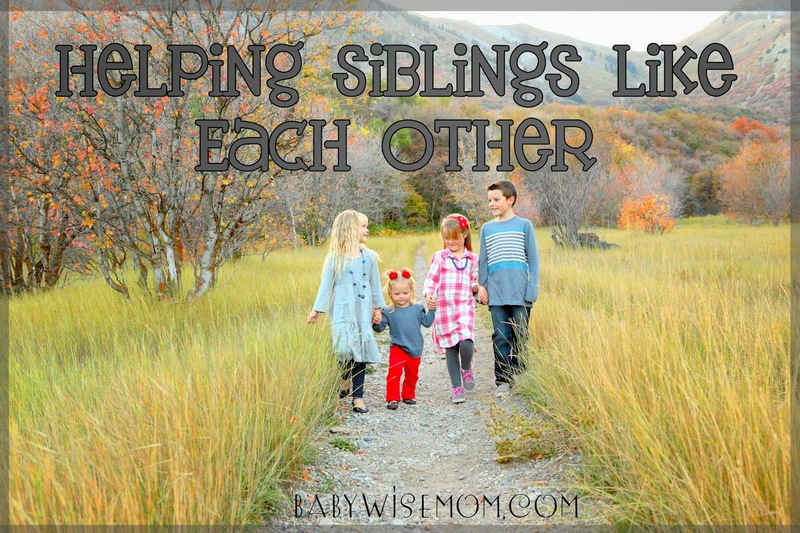 For more on having siblings resolve conflict, see this post on siblings and fighting. Oh tattling! It seems to be the bane of teachers and mothers alike. Tattling is an interesting topic because you want children to be able to come to you with real issues, but you don’t want to be bombarded with “he said/she saids” all day long. Observing number one above will naturally help with tattling issues, but it will not solve them. Childwise suggests some guidelines for children. One is that you allow children to alert you if someone is hurt or in danger. This is okay. You also want children to feel comfortable coming to an adult when they need help solving conflict. It is a great way to learn, and you don’t want them rolling on the floor fist fighting or screaming in a war of words. What you do not allow is a child telling you something because he or she wants another child to get into trouble. I often let my children know that any tattling done out of malice will be met with the tattling child receiving the punishment he or she desires for the sibling. We do not live in a tattle-free home. It ebbs and flows. I have seen, however, a tattle-prone child learn to distinguish when it is appropriate to come alert me and when it is something to work out. It takes more than a few days, weeks, or even months of work, but the work does pay off. In our home, we do not tolerate physical aggression nor to we tolerate verbal aggression or manipulation. Teach your children to speak kindly to each other. Remember to focus on the virtue rather than the vice. Also, do not allow physical aggression toward each other. Just like you need to teach conflict resolution skills, you need to teach communication skills. Children need to be taught to use please and thank you. They need to be taught to not interrupt (how many adults could use that lesson!). They need to be taught how to share. They need to be taught how to listen (my minor is in communications and I had an entire semester long class just on listening–it is a real skill to learn). Children also need to be taught to be happy for others. Teach them that when a sibling does something well, they can congratulate them and be happy for the sibling–there is no need to “one-up” or try to be just as good or better than the sibling. A simple example happened at our house many years ago. A sister exclaimed “Look how big of a bubble I blew!” and a sibling replied, “I have blown bigger bubbles than that before.” This was a moment to take the sibling aside and remind that the proper way to respond is with enthusiasm for the sibling. There is no need to compete. Congratulating another does not diminish any past accomplishments you have made in the same area. Service is such a powerful parenting tool. Teaching children to serve is really setting them up to be happy people who love and care for others. Serving brings love, contentment, and joy. I have posts on teaching charity, loving others, and teaching love. There are so many ways to teach service, and many of those ways start with parental example. All areas of service will help family relationships at home. A great idea for service in the home is family chores. You want to teach your children about work and personal responsibility. We have always treated cleaning in our family as a job of everyone. When we are cleaning bedrooms, we all help clean each other’s rooms. When we are picking up a mess that has been made, we all help even if we didn’t make the mess. When our children were younger and would complain about this cleaning a mess they didn’t make, we pointed out that mom and dad didn’t help make the mess and we help clean it up, so the child can certainly help clean messes made by other children. On Becoming Childwise talks about studies on children’s chores. “Children who performed household chores showed more compassion for their siblings and other family members than children who didn’t not share in family responsibility” (page 108). Giving your child chores that benefit the entire family (as opposed to simply cleaning their own room and making their own bed) helps him or her to be more caring for their family members. This makes complete sense. Serving others helps you love them. I have also found the child is more aware of the messes he or she makes around the house–the child is better about cleaning up after him/herself. You can find many more ideas on chores here. These are four tips on helping your children get along better with each other. Help your children to learn to solve conflicts, understand when to turn to adults for help, have kindness toward each other, and serve each other and they will grow in their love and respect for each other. Yes, they will still bicker. Yes, they will still have days they don’t get along well. But overall, they will build relationships and become each other’s best friends. What age do you think is appropriate to allow siblings to work it out? I'm dealing with this between my oldest two who are 4 and 2. I feel like I deal with fighting constantly and I'm not sure when I should let them work it out or when I need to intervene. Any thoughts? I would stay close by. I would step in and teach and have them apologize if needed. Then I would step out and stay close. But I would also offer quick discipline if needed at those ages. Last week. Brinley was casting spells on McKenna with her want. Brinley is 2 and McKenna is 5. Brinley hit McKenna with her wand at some point (her first time hitting). McKenna came and complained to me about it. I told her to work it out. I figured it was likely an accident since it was Uncharacteristic of brinley. Then I heard it happen again. I swiftly went in the room and took the wand away and told brinley it was not okay to hit. I had her apologize and give hugs. There weren't issues for that. Physical things I would not let just work out probably at any age. Your 2 year old is definitely at a training age, and your 4 year old basically is also since there haven't been other siblings to train on. So look at r as a training time. Siblings fight. They just do. It is going to happen no matter how much they get along in general. In a family, you live under the same roof and spend a lot of time together. You see each other at your worst moments. There are bound to be times you do not all get along. This post contains affiliate links. That doesn’t mean siblings can’t get along and even enjoy each other as children. There are things you can do as parents to encourage a friendship among your children. Here are ideas taken from both NurtureShock: New Thinking About Children by Bronson and Merryman and Siblings Without Rivalry: How to Help Your Children Live Together So You Can Live Too by Faber. Having friends over is very fun, but it is important to also have days and times when the siblings get to just play together–just them. Have time that your children play with each other without your intervention and without friends. You can even schedule this in–see Sibling Playtime and Structured Playtime With Siblings. You don’t want to just throw your children in a room together and say, “Play together! Have fun and good luck!” We are the teachers of our children and need to teach them life skills. This includes how to get along with people. We aren’t talking conflict resolution or conflict avoidance. We are talking conflict prevention. A lot of times, parents talk about the right way to respond to conflict with our children. NurtureShock talks about a program designed to help siblings become friends and their focus is on teaching children how to work together to prevent the conflict. “…fewer fights are the consequence of teaching the children the proactive skills of initiating play on terms they can both enjoy” (page 123). If you have young children, this is an easier concept to work into them. You start young (read Sibling Playtime and Structured Playtime With Siblings.) You teach them to think of the other person and to show the other person love. You teach about taking turns and sharing. If your children are older and you are wanting to change something about their dynamic, you do the same, but you have to expect some rewiring. Remember your Training in Times of Non-Conflict. You walk them through scenarios on how they can compromise and work together so they can both have fun when playing. When the conflict arises, you need to allow the children to work things out on their own. If you eaves drop, do it out of their sight. Do not rush in to solve the problem. This is mentioned in NurtureShock and discussed in great detail in Siblings Without Rivalry. “Children should have the freedom to resolve their own differences” (page 142). YES, you do need to intervene if things are getting abusive either verbally or physically. “But here’s the difference: We intervene, not for the purpose of settling their argument or making a judgement, but to open the blocked channels of communication so they can get back to dealing with each other” (page 142). Basically, you help be a mediator. Personally, at our house, if the kids can’t work things out, then they need to take a break from each other. They don’t wan to not play with each other, so they do put in effort to work it out. Siblings Without Rivalry suggests you allow your children to express frustrations and negative feelings about the siblings. The author says, “Acknowledging bad feelings between the children led to good feelings” (page 49). We all need to vent sometimes. I would caution a few things here. Do not join the venting. Also, there is a difference between a vent and nurturing anger. You want to encourage your child toward forgiveness, not on stroking the bitterness and allowing it to grow. This is something I so completely agree with, in any fashion. We have to be careful with media. I love books, and I know books can be very helpful in helping our children work out worries they have, from potty training to a new baby to a big move. “From these books, the kids were learning novel ways to be mean to their younger siblings they’d never considered” (page 126). “The average book demonstrated virtually as many negative behaviors as positive ones” (page 127). We can make excuses for the sibling relationship. “They are fighting for my attention” “It is because one is a boy and one is a girl” or “It is because they are both girls” or “It is because they are both boys” or “It is because they are too close in age” or “It is because they are too far apart in age.” Studies have shown that fights aren’t about those things so much as about physical possessions. Teach children to love, to share, to respect property of others, to care about the feelings of others…research shows forcing children to share is not effective, but you can teach them to share. See How to Teach Respect for Personal Property. I think this is one of the hardest things to do as a parent. I don’t think we compare maliciously. We do it in awe. How can two people we created, who live in the same house with the same parents and rules, who have the same genetic heritage, be so different? How can they have such different natural talents and abilities? How can they all have such different weaknesses? This is hard people! Very hard. Siblings Without Rivalry agrees. There is an entire chapter on the Perils of Comparisons. “Children often experience praise of a brother or sister as a put-down of themselves. They automatically translate ‘Your brother is so considerate’ into ‘Mom thinks I’m not.’ It’s a good idea to save your enthusiastic comments for the ear of the deserving child” (page 58). This is something I have pondered a lot over the years. A whole lot. I don’t think the point is to never compliment children in front of each other–or ever. I think children should learn to recognize and celebrate the good and accomplishments of others. Part of it is to not compliment everyone for the sake of complimenting. I think you can solve a lot by sticking to Praise Effort, Not Results. “Let’s be wary of statements like, ‘He’s the musician in the family’…’She is the scholar’…’He’s the athlete’…’She’s the artist.’ No child should be allowed to corner the market on any area of human endeavor. We want to make it clear to each of our children that the joys of scholarship, dance, drama, poetry, sport are for everyone and not reserved for those who have a special aptitude” (page 98). That sounds easy on paper, but is hard. The fact is, people have natural talents and abilities. I have a child who is far more artistic naturally than any other of my children. I have a child is who is far more naturally athletic than any of my other children. These things are there. I love the last part of that last quote, though. Anyone can be good at something if they really want to be. Your child might not be the best artist in her class, but if she wants to be great and she puts the effort into becoming great, she can be great. You don’t want to dissuade improvement upon skills and talents. Trying to make things equal among your children will not result in content children. It will result in jealous children. They won’t just be jealous of each other, either, but of everyone around them. They will always be comparing and declaring what isn’t fair. You will find yourself constantly needing to point out what in their life is “better” than those they are jealous of. That is not a happy way for people to be! It will eat at your soul. Your children can be friends and they can get along in general. Yes, they will fight. They are humans. They can be great friends with some relatively easy efforts from you. you know about the media i think there is definitely merit in that and it can influence them and give them ideas. But on the other hand they're exposed to it even if you don't choose to read those. I know in 1st grade and 2nd grade the teachers have read the Junie B Jones books….yes she is a brat but the kids love her and she's funny so I guess she's popular and the teachers read it. The Ramona series, Ramona the Pest,etc is the same. I know the teachers read these books. So even if you choose not to I think they'll be exposed to them. i heard such mixed things about Junie B Jones i was hesitant but ultimately let my DD1read them as she was more compliant and obedient and I didn't think it'd be as big an issue. i ahve not let DD2 because i thought she may get ideas! :) I will say that DD1 has not nice tones and is sassy,etc and I did tell her I may have to take away some of her books and she looked at me as if i was nuts and didn't make any connection so I'm not sure it was even from the books…I actually think it's more an age thing and phase and observing other 7/8 year olds at school. I think a lot of this is learned from kids in school! And I'm sure tons are watching who knows what. I actually think TV shows can have a bigger impact even. But anyways i agree on the topic but they are going to be exposed to a lot and pick up plenty of things that way. I make sure mine understand when reading that she is having poor manners and this is not a way to act. I agree the visual like tv and movies has a bigger impact. They can only imagine what they know, so reading a sassy response won't necessarily translate to them thinking a sassy tone if they haven't heard one. But I know reading a book puts me in the mood of the book. A hard thing is every book has conflict–every story has conflict of some sort. Not sure if u still take questions about sleep training, but my 4 month old, who naps fairly well, is having difficulties with her bedtime, which is at 8pm. If she wakes up from her nap at 5 or 6, should there be another nap time before her bedtime? (I had her awake because she didn't seem sleepy.) Do u think she's having a hard time with bedtime because she is overtired? Or, could it be because of witching hour? Thank you. Pekomama, At four months, you usually have 3 naps. A lot of times that means you have a feeding, no nap, then feeding, then bedtime.